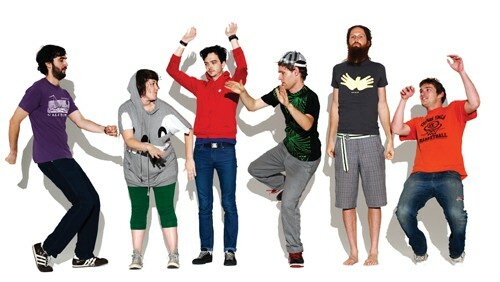 Architecture in Helsinki is an Australian indie pop band which consists of Cameron Bird, Gus Franklin, Jamie Mildren, Sam Perry, and Kellie Sutherland. 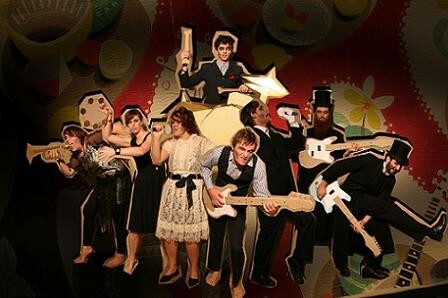 Most of the group's members play multiple instruments as their music makes use of a wide range of instruments, from analog synthesizers, samplers, the glockenspiel and handclaps; to concert band instruments such as the trumpet, tuba, trombone, saxophone, clarinet, and recorder; and the more standard guitars, bass guitar and drums. Their 2007 single, "Heart It Races" peaked into the top 50 on the ARIA Singles Chart with the related album, Places Like This reaching the top 30 on the ARIA Albums Chart. In the United States, the album reached the top 10 on two of Billboard magazine's component charts: Top Electronic Albums and Heatseekers Albums. Their 2011 release Moment Bends peaked at No. 12 on the ARIA Albums Chart. The group has undertaken multiple national and international tours. They toured the United States with Death Cab for Cutie and Clap Your Hands Say Yeah, and opened for David Byrne, The Polyphonic Spree, Yo La Tengo and Belle & Sebastian. In May 2009, they opened for The Presets in Sydney, Brisbane and Melbourne.